This is a must read post if you’re concerned about the potential downsides of Lakeside living. 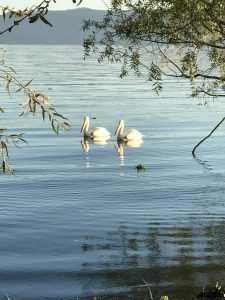 Recently some Lakeside expats who decided to return to their home country shared their grievances about the Lake Chapala area with us. After living here a few months their analysis was that Mexico is lawless, chaotic, messy, noisy, dirty and dangerous. To their credit, they realized that this is not the life for them and made the decision to go home. One of them, showing a good sense of self-awareness commented, “I guess I’m not as flexible as I thought I was.” It’s certainly true that Mexico is not for everyone and while international living blogs paint it and other Latin countries as a retirement paradise for northern baby boomers, the difficulties of adapting to life in a foreign county, particularly for those who have not traveled extensively outside of their home country, are often underemphasized. 1. Lawless – As reported in both the local English and Spanish press, 30% of all residents of the state of Jalisco were victims of crime in 2016, but 93.2% of crimes went unreported, with the crimes reported ranging from extortion to assault. 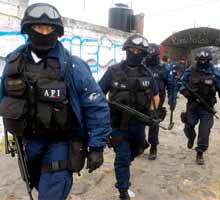 In the nearby Jalisco cities of San Juan Cosalá and Jocotepec there were several widely reported cases of kidnappings for extortion and drug related murders in 2017, and it is common knowledge that Guadalajara is the money laundering capital of Mexico. It seems that there is also an increase in petty crime and household robbery Lakeside, a fact of life in almost all of Latin America. This is also an election year in Mexico, which is contributing to increased tensions. Under the new U.S. travel classification system Mexico is ranked #2 or “use increased caution”. The warning is broken out by Mexican states with the highest danger classification in some northern border and pacific states, but many expats who live here travel freely to some of the places on the list, particularly Michoacan and Zacatecas. 2. Chaotic – Mexicans are not obsessed with having everything in order. You might say they are more accepting or fatalistic depending on your point of view, but there is a general feeling that things will work out somehow without excessive planning or control. Social events of all kinds are chaotic affairs with loud music, dancing, drinking, mariachis and the ubiquitous rockets that are fired off for every occasion from funerals to church processions and every kind of celebration. Business affairs will be taken care of eventually, but probably not in the time frame expected by a typical U.S. or Canadian citizen. 3. Messy – Mexico is anything but sterile. The streets are shared with dogs, horses and trash piled up for the eventual trash pick-up. Around every corner one is greeted by a cacophony of smells; the sweet aroma of baking bread and roasting coffee swirling together with the smell of garbage rotting in the sun and pet detritus. The sidewalks are uneven, crumbling on many corners where the local buses repeatedly miss the turn, and the cobblestones are rough, making every walk through the village feel like a journey through uncharted territory. 4. Dirty – See 3 above. 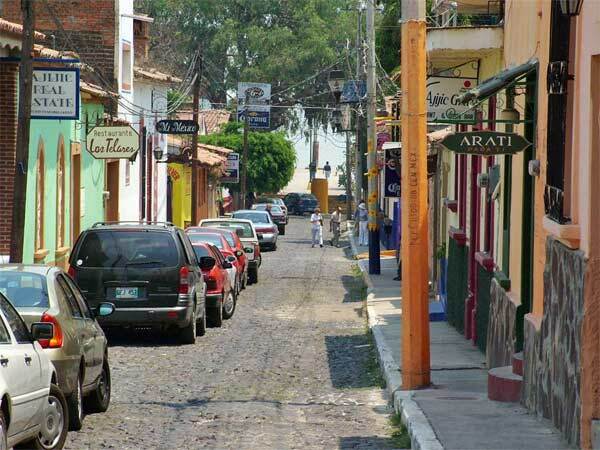 In Ajijic the Delegado (the town authority instead of a mayor) is working diligently to improve trash pick-up and add garbage trucks, but the quality of trash removal varies widely throughout Mexico from somewhat satisfactory to poor. Mexicans themselves are fastidiously clean and except among the very poor, adults and children are generally dressed with great care because dress is considered a reflection of one’s status in society. 5. Dangerous – In addition to the lawlessness covered in point 1 above, the roads are generally full of potholes and topes (speed bumps) which are usually unmarked and often in the most unlikely of places. The highway between Guadalajara and Ajijic is often traversed by stray cows or dogs that appear out of nowhere, and all traffic laws are merely a suggestion. A Mexican friend recently told me, “When you come to Mexico you put yourself in the hands of God.” So why you say, would anyone in their right mind choose to live here? Well, our disgruntled expats (likely in the grip of culture shock which is real and can cast a pallor over the first months of living in a new country) somehow couldn’t see the warmth and generosity of the Mexican people, the sense of community in the village where every Sunday afternoon is a spontaneous gathering with the park benches full and children of all ages playing in the plaza. Expats and Mexicans all come together to enjoy the warm Sunday afternoon breeze and the frequent free music concerts and art exhibitions. The international living magazines and blogs tout the climate and cost of living as two of the prime reasons to move to Mexico, but warm weather and low cost of living are not enough on which to base a life. So buyer beware, if you are considering moving to Mexico, you should try to make several trips as long as possible to get your own sense of the pros and cons and how they will affect your lifestyle. The ability to speak and understand at least basic Spanish is one of the biggest aids to maximizing the quality of your Lakeside life. 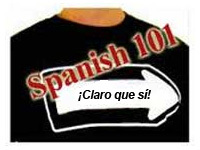 Those who live here for years without learning Spanish are missing a major component of the benefit to be gained by living here, sort of like watching TV in black and white instead of in color. You get the picture and the story line, but something essential is missing when you are unable to communicate freely with the Spanish speaking community. Most people here are scrupulously honest (like my handyman who can hardly bring himself to charge me for his work) but there are unsavory people in every country and non-Spanish speakers make an easy target. It’s sort of amusing and sort of not amusing to hear expats brag about what a great deal they got on some purchase, blissfully unaware that they paid way more than the usual price. Far more important, speaking Spanish could save your life in a situation where medical attention or emergency services are required. If you have carefully investigated the Lake Chapala area and decide to move here, congratulations! You will find a rich culture, warm and friendly people, and expats who live here happily and integrate with the local culture to one degree or another. Although this is not paradise, life is rich here and you may find that the advantages of Lakeside living far outweigh the disadvantages. See for yourself by signing up for one of our six-day fast track learning seminars, where you will hear excellent speakers on immigration, health insurance, buying and renting property, crime and violence, and much more. You’ll also have time to explore the area with us and on your own. 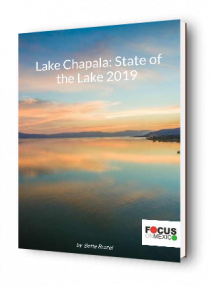 Thank you for publishing a most honest narrative of what some view as living in Chapala. We lived in Ajijic for 7 years ..owned a home there…and loved almost every minute of it. To be honest it was the best six years of our lives. We returned to the United State due to age and health concerns but think almost every day about our lives while living there. What we miss…the people…the warmth of the Mexican families and the pace of life. Did we learn to speak. Spanish..Yes…we embraced all that was there to enjoy our retirement. Is the dirt, garbage..noise (especially with eventos on Saturday nights) the endless government requirements to be legal..the water and some food., all concerns YES.. but it was never viewed as something that would make us leave. I think people show go for a month and try it out..or rent first and soak it all in. My husband and I have no regrets…only wish we could be still be there. This article is well balanced, and accurate based on our experience. We spent our honeymoon 22 years ago at Lake Chapala, made short trips since, and attended FOM session in July 2017. We rented a house in Chapala Country Club from August ’17 thru February 2018. My wife needed emergency medical/hospital care in January, and because of our inability after much effort to buy Mexican medical insurance, our out of pocket expense was just under $20K US. We returned to the US shortly thereafter. During our brief stay we met and enjoyed the company of many expats, Americans and Canadians. The end result for us might have been better if we’d done it in our 60’s instead of in our 70’s. One of the highlights for me was to sound TAPS for the Memorial Day observance at the American Legion Post in Chapala. I liked what you had to say. It’s not Canada South or America South. It is its own place, and those who are not flexible in their demands and expectations (and who have not traveled much) will struggle and should probably make a different choice. However, for those of us who can adapt to being here, it has a great deal to offer. It’s all in what you choose to focus on, isn’t it? You paint rather a bleak picture as far as crime and sanitation in Mexico go. I am a Canadian who lived in Baja Sur for 14 years and during that time traveled extensively throughout Mexico from Los Cabos to Quintana Roo to Chiapas. I never experienced any criminal activity and and except during an occasional labour problem or mechanical breakdown always found the streets spotlessly clean. I have now lived in Vietnam for three years and I can’t wait to get home. Home being Mexico. Here in Vietnam the streets are filthy, garbage cans are unheard of and everyone just throws their garbage on the street and occasionally it is partially swept up by street sweepers. Traffic is ridiculous as there is only one rule of the road — the larger vehicle has the right of way even if it is a bus driving down the wrong side of the road into oncoming scooter traffic. Foreigners are there for the picking and my Vietnamese wife won’t let me buy anything except in the larger supermarkets. Medical services are a joke and heaven help you if you get hurt. I have also traveled through Cambodia and Laos and experienced the same thing. Mexico is not like the USA or Canada I agree, it’s a lot better in most ways and certainly far better than Asian countries I have been in. Interesting: A friend of mine who has lived in Mexico for the past several years, and has lived all over the world, regrets that he didn’t settle down in southeast Asia; Cambodia or Thailand, I think. I lived in an upscale part of Ajijic for over six years, but it is never spotless. I tried picking up all the trash in the streets in front of my house, but in a day it was back to normal. It’s like there’s osmosis going on. If you are really saying that you traveled all over Mexico and the streets were spotless, well that’s like saying you’ve never seen a cloud. Only blindness could account for it. Anecdotal, but one friend had his truck stolen in Chapala last year, and another, her home burglarized early this year. My friends in the states: none have suffered from such crimes in decades. I think one needs to take precautions everywhere, but I do feel more vulnerable in Mexico despite such precautions. I guess I must be blind. I have gone through all the photos I have of Baja Sur and the ones on the Focus on Mexico site and I can’t see garbage in the streets. There was one quite awhile ago but that was caused by a labour dispute. Even in the picture in this article of the rather dirty garbage truck the streets are clean. Perhaps you would check out the images at “garbage in the streets saigon” ( https://duckduckgo.com/?q=garbage+in+streets+saigon&t=ffab&iar=images&iax=images&ia=images) . Perhaps the residents in the apparently dirty “upscale part of Ajijic) are all expats. I certainly agree one must take precautions wherever we are and perhaps that’s why I have never experienced crime in Mexico. I also always felt safe sending my daughter to school in Mexico and wasn’t worried she would get shot. I have been waiting for an artical like your for a while and finally someone has made the simple effort to tell it like it is. A practical approach and sober in its hummer. It has made my idea of living in Mexico a bit easier. Agreed. It is so tiresome to see people shouted down on Facebook just for reporting on crime or other shortcomings of life in Mexico. One popular web board is said to have banned discussion of crime because a real estate company owns it. Kudos for keeping it real, Focus people. Thanks, we love Mexico and want to be real about life here for those who are considering retiring in the area. All true — and I LOVE it here! So much more open and joyous, and far less regimented, than the US is. And a lot safer than living in NYC was! Folks, this is a foreign country, and a different culture. As my husband says, Lakeside attracts some folks who are looking for a cheaper version of Florida – and then they are PO’d when it is not. We have actually heard someone complain that there were a lot of Mexicans on the streets in Ajijc (well, duh) and they didn’t like seeing them. Yes, it’s quite safe here and there are many single women living here. You may want to come to our seminars to get complete information before making the decision to move here. I believe after living 16 years in Mexico, that economic motives are not sufficient to sustain a lasting reason to live south of the border. An honest accurate assessment and a “must read” for anyone contemplating a move here. While it may not be paradise for some, it is for me. Thanks for posting your impressions CanuckBob (and everyone else)! Glad you liked it. The article on living on lakeside appears to be accurate. But now I live with no garbage, no offending odors, no wandering animals, potholes, moderate crime, and a different kind of people. Yes, because of health reason my wife and I moved back to the States (Texas). 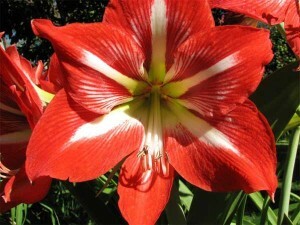 We had lived in Mexico in both Ajijic and Mazatlan for five years – mostly in Mexican areas and with Mexcian neighbors. We got to know them as well as a foreigner can know a Mexican. I know things have changed in these, but damn it, I miss Mexico. We saw some of the bad sides of Mexico, but we were fortunate enough to experience the people and culture. The richness in Mexico lies in its people. Our time in Mexico was the best time in our lives. Not a day passes that I don’t reflect back to our many expat and Mexican friends. The dust of Mexico settles slowly. Te amo. 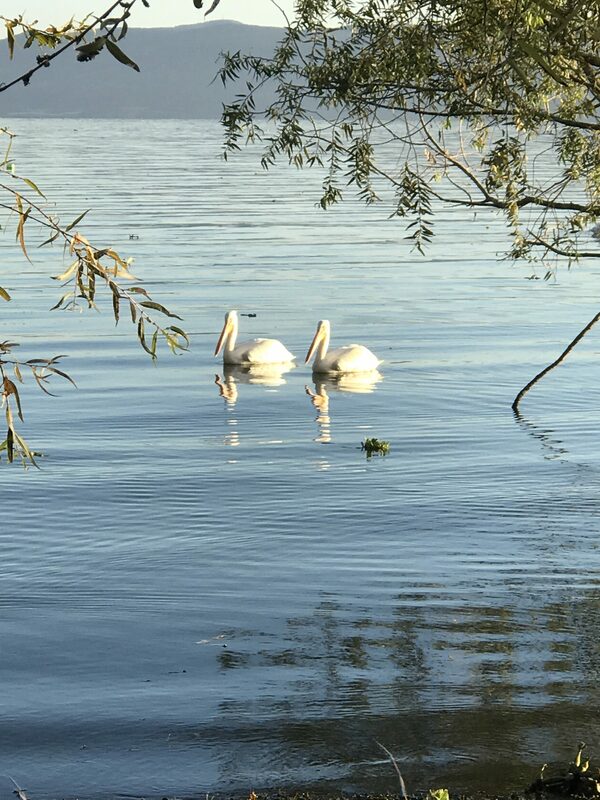 While I don’t have any hard statistics, the expat retiree population lakeside is a combination of couples, a larger number of single women and a smaller number of single men. I can’t explain why there are more single women retirees lakeside but it seems to be so. swim in the pool and read. We are all different. What I love most are the people, most are genuinely happy and didn’t see too much of that up north. Also there are only beautiful babies here! After two trips to Ajijic, the second one for 3 months, I agree with your vision entirely. But for me there are two more important facts to add to the list; the weather from late April to early June is unbearably hot, both day and night. Second, the traffic is just terrible, (too many Gringos) and even getting from just outside town to just the other side, turned what should have been a 7 minute drive to up to 40 minutes. No parking, and very challenging parking on uneven narrow streets, was also frustrating. And while busses are much better than here in the US, I found I really needed a car. That said, I cannot wait for next month when I will return for a few months and eventually my husband and I hope to be able to be there for at least half a year, every year. And given we live outside San Diego, on acreage with a great house and views, that says something about the beauty of the Mexican culture, and the heart warming charm and sense of peace and fulfillment that is to be found there. First, if all depends on where you are coming from and what is important to you. I would never live in a gated community in the US. Probably for the same reasons these people are unhappy with the free for all of village life. 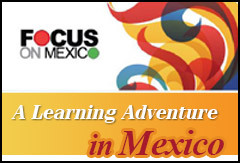 If I have one recommendation for all, it is to take the Focus on Mexico course and then spend a couple of weeks living as much in the culture as possible. We plan to move Lakeside this year. Do I expect to have adjustments and unpleasant issues? Of course. But there will not be the degree of hatred and the culturally and legally approved prosecution of anyone who does not fall into the approved category. No children ripped from their parents and then “lost” in spite of the numbers on their arms! We have been here 8 yrs—-on and off–but live here full time–last 4 yrs.–Yes—streets are messy—power goes out frequently in rainy season–crime is concerning–but it is anywhere. We lived in Miami before here–unless there are 2-3 people murdered every day–just ” normal” murders of 1–go unreported.–Guns here are not a BIG issue like in U.S.—-where people have armories–and all “kids” seem to own a hand gun. So–why here?–The people are warm–smiling–not in a rush to “make more, have more,get out of my way: attitude we have found in Canada–States. Laissez faire attitude prevails–like most countries in Europe–Latin America embrace—just “us” gringo’s go at 90 mph in a 30 mph zone—and cannot break the habit. We are here for medical—and we get it free in Canada—but here–“turn over” is not the main goal.–Spending $40.00 to spend 30-45 minutes with a specialist is worth it. Access is immediate—and Guad has some of top teaching facilities in the world.